Modular Storage Systems provide Cantilever Racking in Brisbane and the gold coast. we have cantilever Racking in stock at our ormeau Warehouse ready for quick despatch - No 8 week lead times. 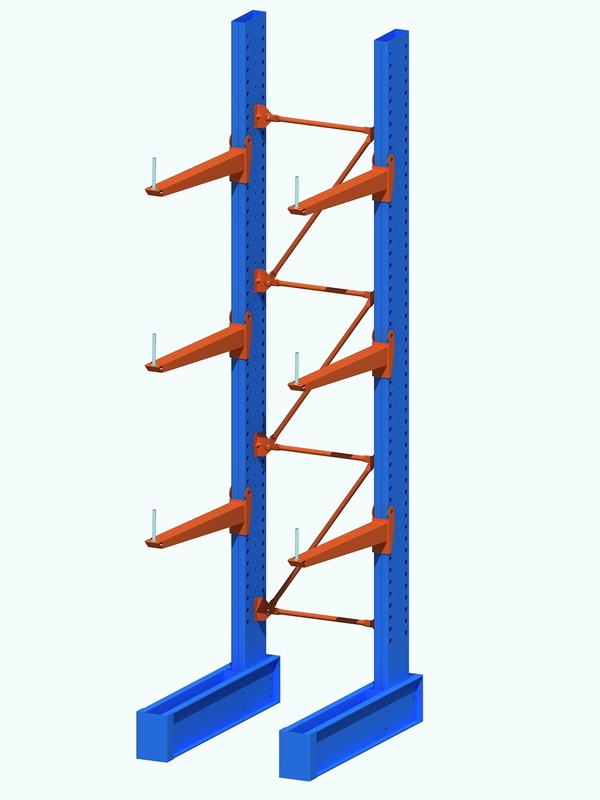 Cantilever Racking is the Storage System of choice when dealing with long and bulky packs such as Timber, Steel, PVC Piping or other sheet type building materials. Modular Storage Systems Cantilever Racking is known throughout the industry as one of the most comprehensively designed and engineered products and can be found at many major hardware and timber suppliers on the Gold Coast and in Brisbane. With an extensive range of Arm, Base and Upright configurations we can design a system to suit your exact requirements. Our Cantilever system has articulating arms ensuring less damage to the Racking when forklifts are loading and unloading and more importantly less damage to your products. We work with some of Australia's leading manufacturers and distributors - Contact us today to find out why! Our team was recently engaged via a strict tender process to complete the Cantilever Racking and Selective Pallet Racking fit out for Atco Structures and Logistics at their new super site in Luscombe, Yatala just south of Brisbane. The Cantilever Racking Systems were provided in Hot Dipped Galvanised for exterior use, with roof cladding and Powder Coated for inside. Modular was successful in this Brisbane Cantilever Racking project due to the quality of our product, lead time and competitive pricing. Our installers worked around the other trades on site and our project manager ensured a smooth process with completion ahead of schedule. Form 15’s and 16’s were provided with engineering sign off, ensuring compliance with Australian Standards and local council regulations.